Dutale, Inc.’s commitment to excellence demands that we only work with quality brands. 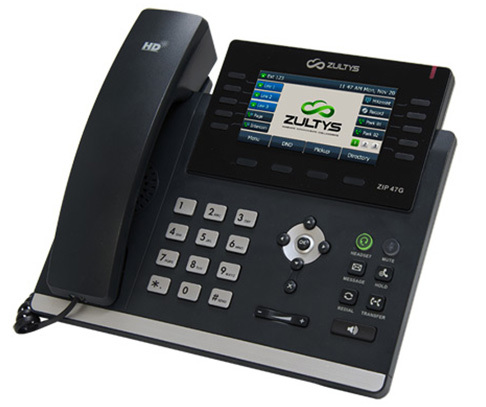 Star2Star and Zultys are leaders in providing VoIP solutions, and we are proud to announce our partnership to aid Southern California businesses. We provide service, repair and, installation on the following: VOIP Telephone Systems, Legacy Telephone Systems, Surveillance Systems, Paging Systems, Fiber Optics and Voice, Video and Data Cabling, and other telecommunications solutions. Dutale, Inc. offers high-grade telecommunication services to clients in Southern California. Our team has serviced complex installations at various locations, from mega supermarket chains and car dealerships to churches, dentistries and law offices. Come to us for telephone system support, fiber optic repair, and other business telecommunications solutions. Our company subscribes to the belief that customer needs are specific to business types. No matter how large or small your business may be, Dutale Inc. has the capabilities and experience to accommodate your telecommunication needs. We service Southern California. Let us serve you. Dutale, Inc., takes pride in providing top-notch business telecommunications solutions, services, and products that meet and exceed our customers’ expectations. Our commitment to providing Southern California with an unparalleled level of service and attention has garnered us a high percentage of repeat customers and referrals. At Dutale, Inc., we welcome the opportunity to earn your business — whether you are in need of VoIP system installation, surveillance camera systems, voice and data cabling, or IT services. Rest assured, our Southern California telecommunications specialists can deliver you the advanced troubleshooting and telephone system support you need at competitive prices. Call us at 951.656.3939 today for high-grade telecommunication services. Dutale, Inc.: We work when others don’t!